Hello hello!! What are your plans for this September Sunday?! It’s work work work for me as I’ve got a meeting with Greet Moens from ‘Become who you are’ to work on her webshop… (but if you saw my skirt from yesterday’s outfitpost, you know it’s gonna be fun fun fun as her collection is ab fab!!). 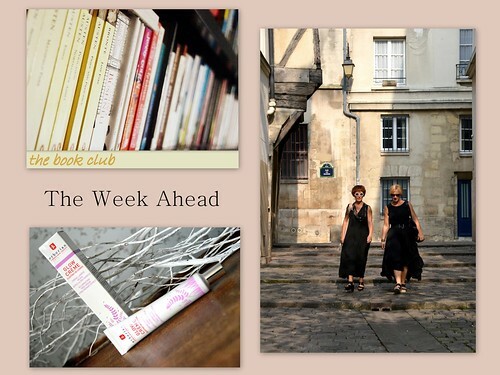 In Monday’s beautypost I tell you my thoughts on the Erborian Glow Creme, in Tuesday’s post I tell you all about our latest bookclub meeting (at which we discussed ‘Shadow of the wind’ by Carlos Ruiz Zafon). On Thursday I take you all the way to the Marais in Paris and Saturday’s fashionpost is still a surprise (but it’s about a summer sale vest that I am wearing as an autumn coat!). OK, now I’m off to Greet… to have a lovely Sunday/Funday! !